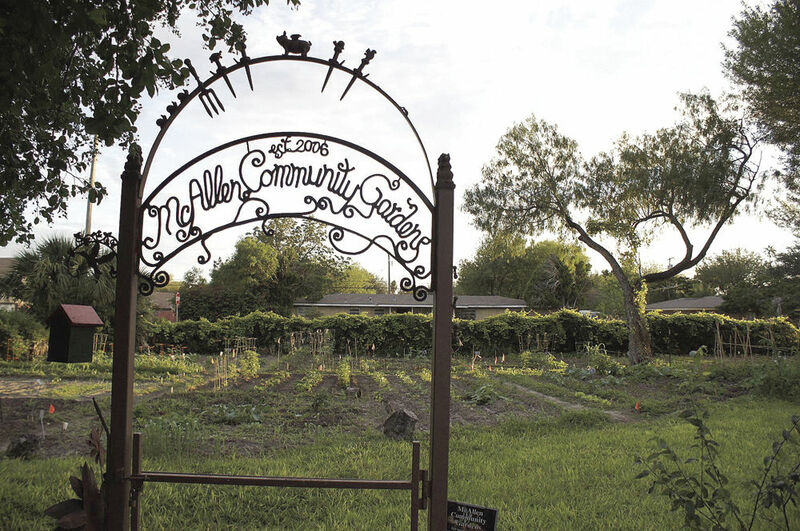 The McAllen Community Garden next to Fire Station No. 2 on North Main Street in McAllen. City commissioners and staff continue to wrestle with preserving the 12-year-old community garden that sits next to Fire Station No. 2 on the corner of North Main Street and Harvey Avenue. Zay Nicol, and five others voicing opposition to the city potentially building over the garden, argued Monday how the garden provides the primary green space for that neighborhood, and how it makes McAllen unique. Fire Station No. 2 is old and city officials have determined a new one is needed. The city’s goal is to construct a new fire station while preserving the locally loved garden, which has grown 54 different types of vegetables, according to John Goolsby, the long-term president of the garden. Goolsby also happens to work out of the Rio Grande Valley for the U.S. Department of Agriculture. Commissioners voted unanimously, with Commissioner Richard Cortez absent, in November to begin the process of selling bonds to pay for a new parks and recreation building and the new fire station. The city’s financial adviser said the city would need to advertise a notice of intent to issue the bonds, which commissioners voted would not exceed $6 million. City Manager Roel “Roy” Rodriguez said he’s hoping to only spend $5 to $5.5 million on the two projects. The city will receive the bond funds in February, Rodriguez said. The impact on McAllen taxpayers will be an increase of four-tenths of a penny, Rodriguez added. On Monday, commissioners voted for a conditional use permit for a new fire station in that district, though that is not binding to the location and specs the city currently has for the new Fire Station No. 2. The garden lies in Commissioner John Ingram’s District 5, and he’s championed the garden since its inception. At the beginning of this bond process, Ingram asked Rodriguez for assurance the garden would be preserved in building the new fire station. Rodriguez said he would do his best to satisfy everyone. In doing that, he’s trying to find a compromise, which he said he feels has not been reciprocated. He asked Goolsby on Monday how much the city is compromising. Rodriguez then listed the adjustments city staff has made upon hearing from Goolsby and other gardeners. 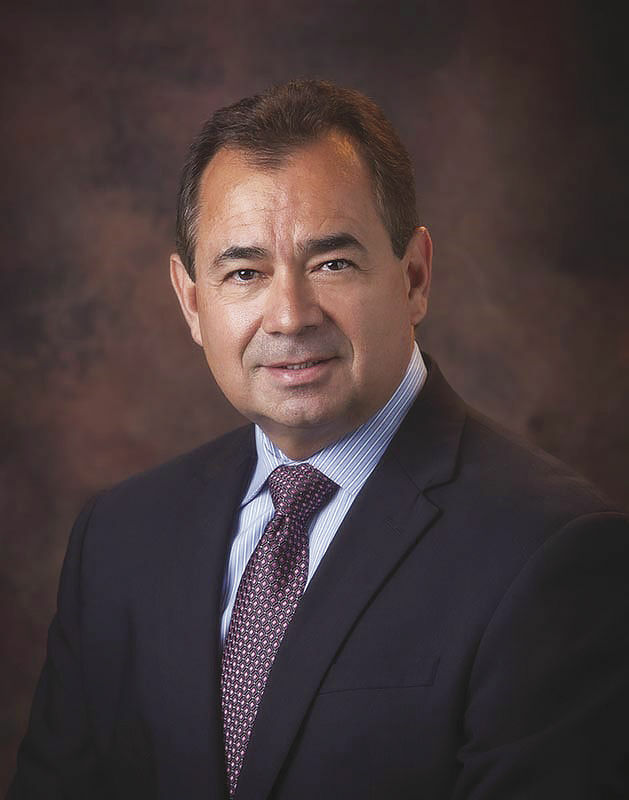 “As city manager, I’m trying to get everybody to win — I’ve used that word from the beginning,” Rodriguez said. “We’re minimizing the amount that we’re impacting on the garden, and I actually believe it’s less than 50 percent, but I’m going to get that figure by the next workshop. “Another issue that was brought up was the couple of large, beautiful trees that we were going to take out. We’ve realigned the entrance from Harvey in order for that not to happen,” Rodriguez added. “In order to take less of the green space, we’ve reduced the entry of that driveway from some 24 feet to 14. “There was a concern from one of the neighbors about the height of the building, and how much it would be seen from their backyard; we’re reducing that elevation by 8 feet. “We are pushing the building to the north several feet in order to accommodate as much of the garden as possible. We’re pushing the building to the west as much as possible in order to accommodate the garden. We’re going to issue a license agreement so that we can park on our own right of way in order to accommodate the garden. Goolsby said he and other gardeners have greatly appreciated the city’s modifications. And Goolsby has said repeatedly how comforting and grateful he is that the fire station is next door, as gardeners and fire fighters, who Goolsby has called heroes, routinely mingle. Goolsby then asked Rodriguez to walk the garden with him.